It has been a rough couple weeks friends, and I am so happy to post something refreshing and fun. As our battle for Jane’s health continues, I long for a serene getaway and I have learned to take solace in the smallest of things. An unexpected latte, a moment alone, a talk with a friend, a cool summer night, her first high five (yes!! ), how she said “Charlie” out of nowhere for the first time the other morning (no, I don’t know a “Charlie” and I’m not sure who he is but I’d like to know why my daughter knows his name), her first pony tail, and the small details of our home. With so many things out of our control, it’s nice to have a space that is entirely up to our say. A place to rock her, make her feel comfortable, in routine, peaceful and happy. 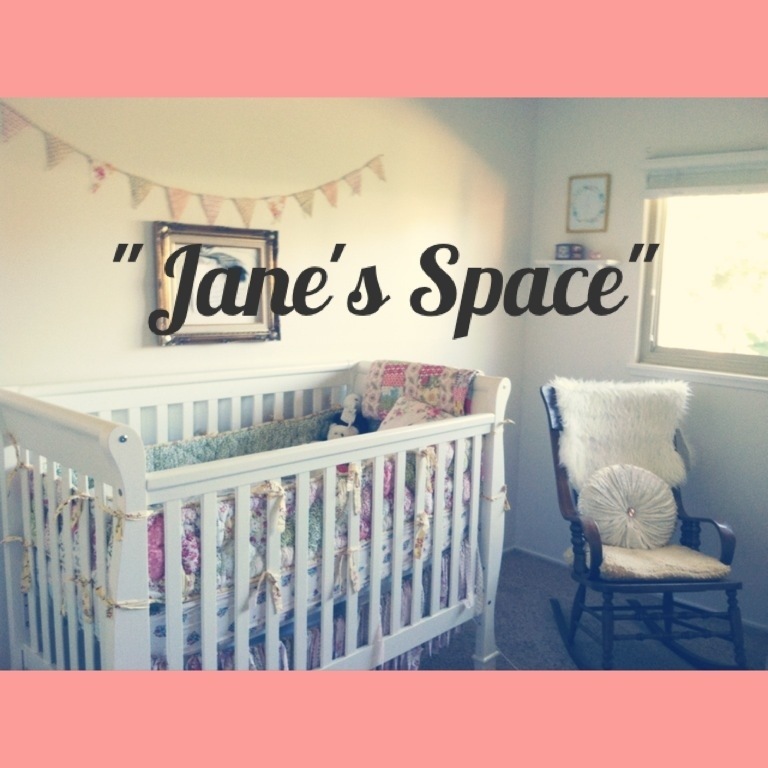 While it is far from finished, I want to share a little bit of our sweet “Jane space” with you. I am far from a Pinterest mom, but I do my best 😉 I wish so hard I could handle grey walls with matching neutral upholstery and meaningless Ikea furniture, but I just can’t. 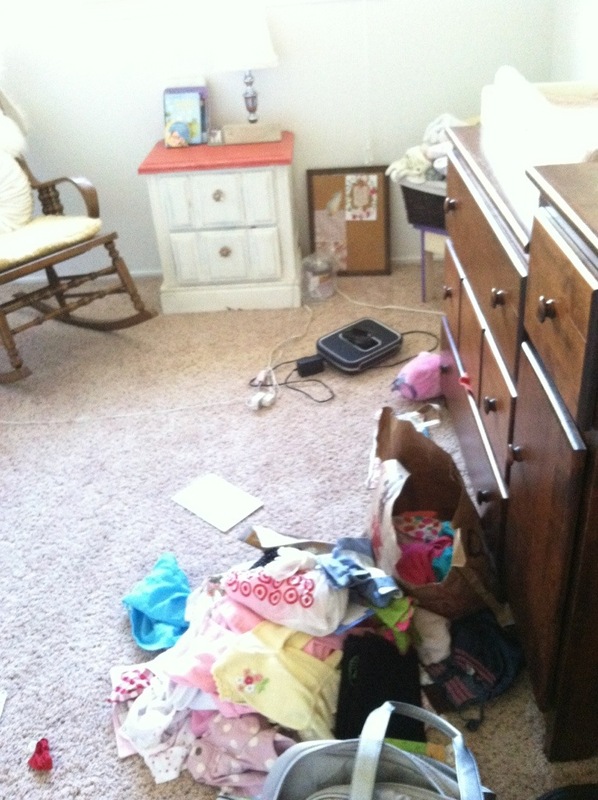 I thrive on messy, eclectic and personal. And don’t forget, inexpensive! Everything below shows my attempts at just that. Get ready for an overload of sentiment and meaning and cutesie things! 1. 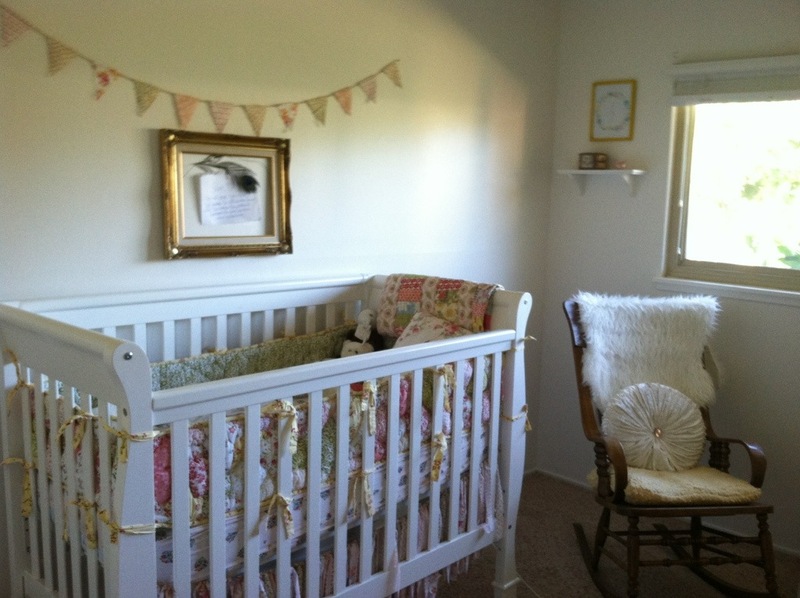 Jane’s crib was a hand-me-down from my nieces. 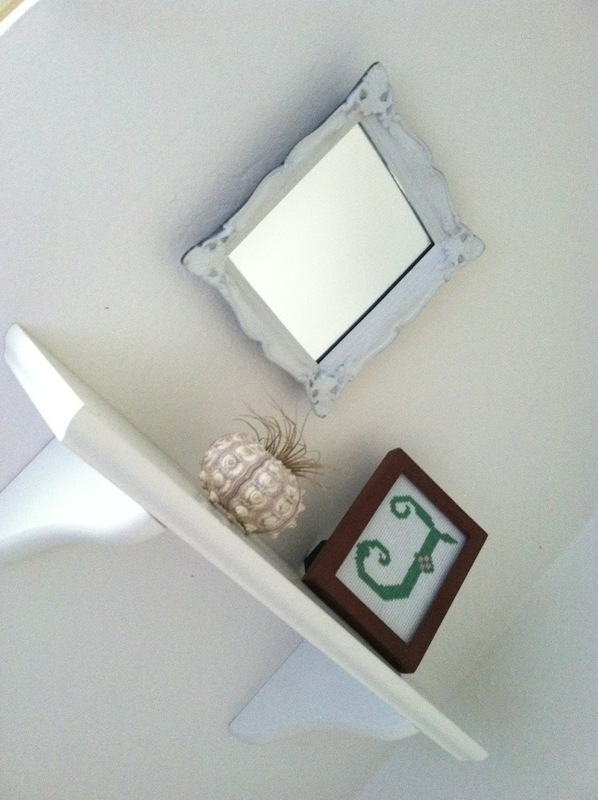 Pottery Barn FREEBIE for the win! 3. 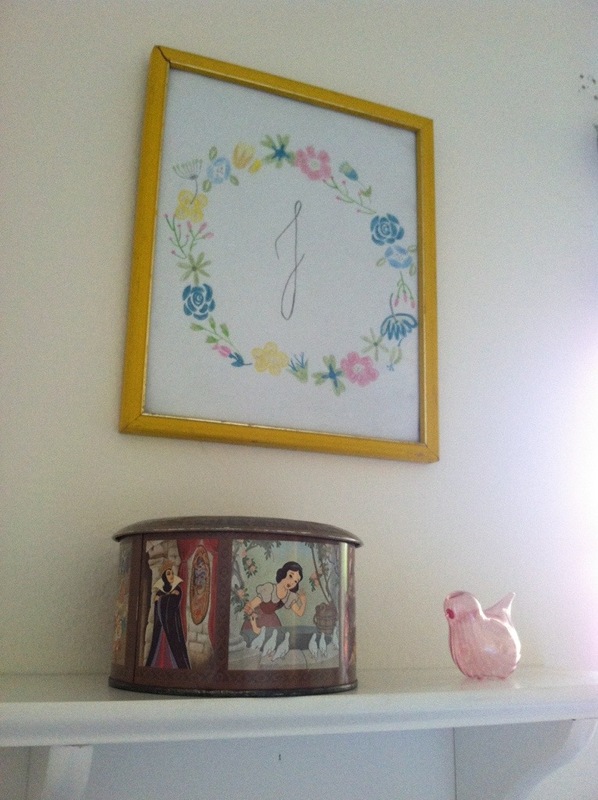 The frame below the banner was found at a garage sale by my mom. 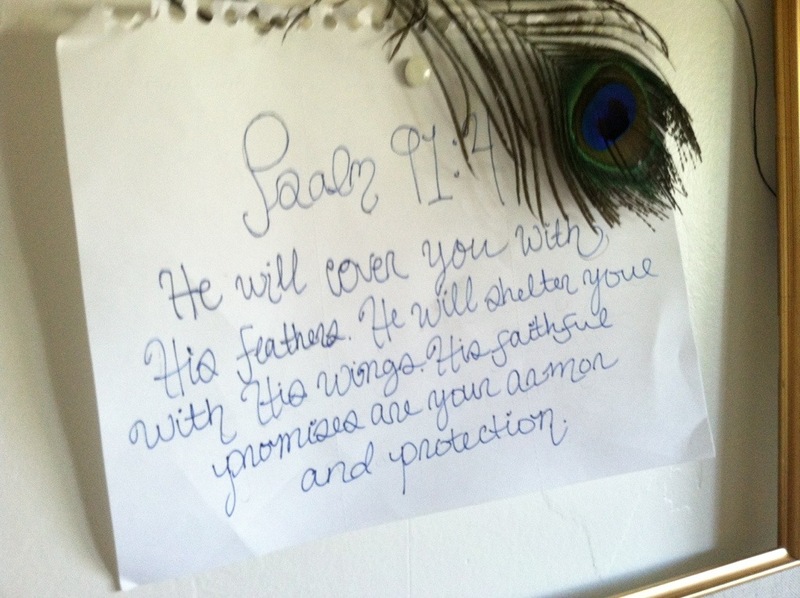 I framed one of our very favorite verses for this season of our lives in it and hung a peacock feather that someone gave us from our wedding. I’m so personal and sentimental right now! 4. The rocking chair was my great grandpas. ( I know, you can’t even handle me right now). The faux fur throw is Ikea $9.99! And the white pillow was specifically picked out by my mom if we had a girl. Spoiler alert, we did 🙂 Rich and I picked out a mustache pillow for if it was a boy. The mustache pillow lives on in our living room. How bout that thumb tack huh!? This pillow is the pillow of a princess. Also great lumbar support. 1. This is a picture I made for Jane the day we found out we were having a little lady. Her name was a secret but anyone who saw the initial pre-birth took their guesses 🙂 The snow white tin was mine (or maybe my sister’s? Well it’s mine now!) growing up. The bird was in my parent’s house and actually used as decor in my friend’s wedding. I’m unstoppable!! 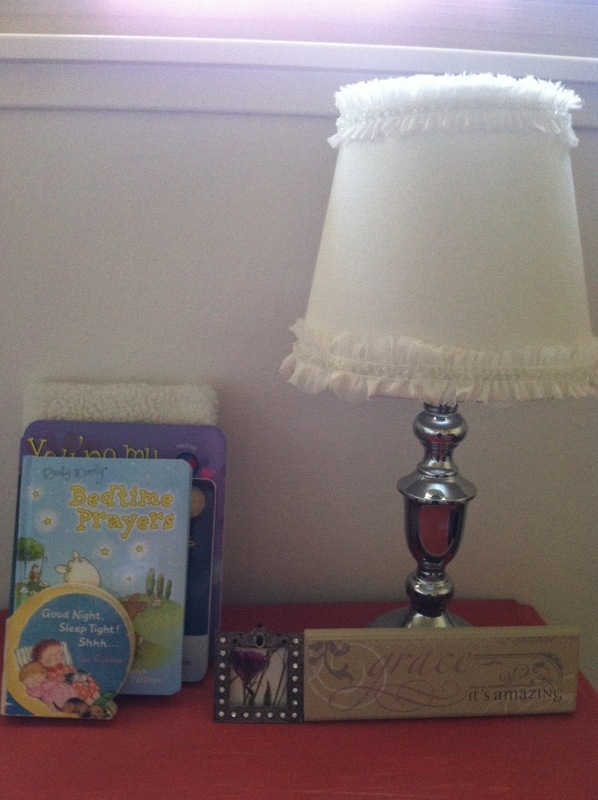 The bedtime corner. A fru fru lamp. Another “pre-girl” purchase (meaning you keep the receipt in case it’s a dude baby). And our little reminder that Jane means “God has been gracious”. 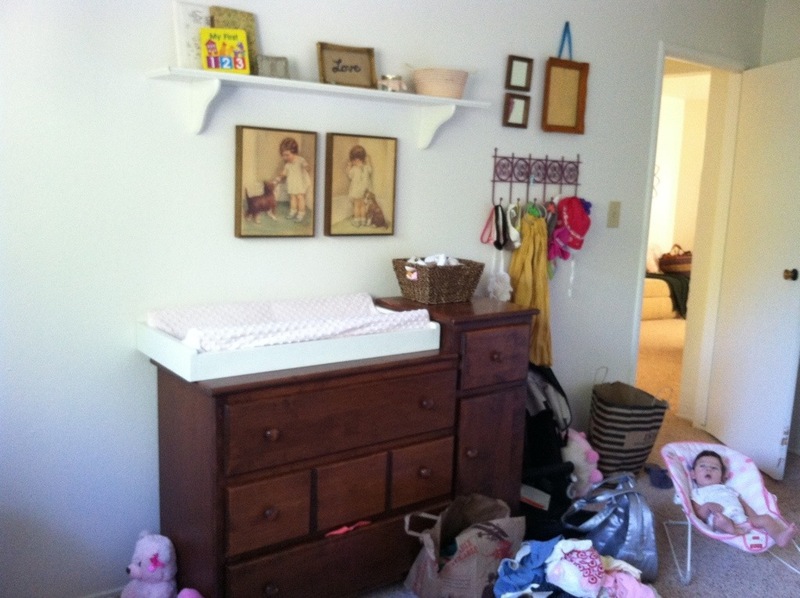 I used to not like this wall with Jane’s changing table/ dresser as much as the others but now I do. It was the “catch all” station. But after hanging these ADORABLE garage sale little girl pictures it added just the thing for me to take pride in this space. I’ve asked for it’s forgiveness and promised to never abuse it again. Jane has thick wavy hair. My husband loves dogs. It was meant to be. Hidden high above the world is this little detail. 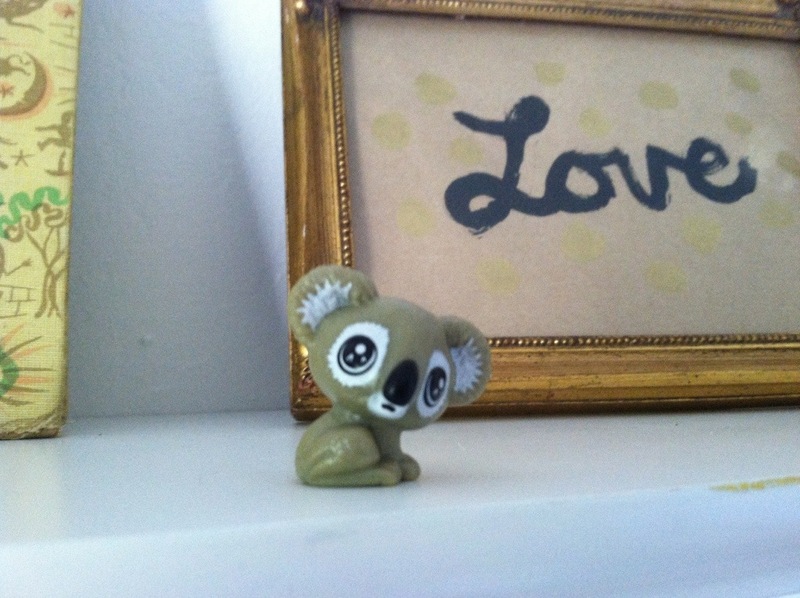 A koala given to Jane by a small friend, who happens to be the daughter of fellow Eco Chic Diaries blogger, Julie Hamilton. She’s a quirky one and little does she know I actually am in love with this little guy. My advice for your space? Keep it fun. Don’t decorate like a grown up. Make it meaningful, don’t play by rules. Love your space.